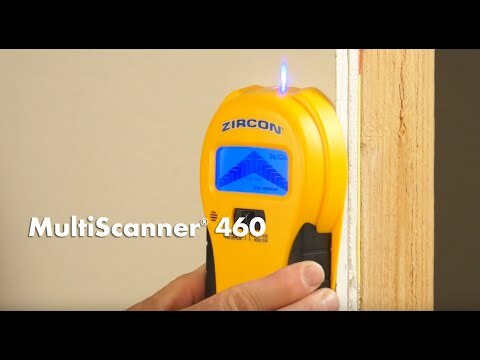 MultiScanner® 460 locates the edges of wood and metal studs and joists behind walls, floors, and ceilings. It also locates metal as well as live AC electrical wiring. A 4-mode switch makes it easy to change functions, while the ultra-bright display screen, SpotLite® Pointing System, and audio tone all indicate the location of the target. Patented TruCal® technology calibrates to the wall’s density and indicates when the tool is ready for use.